It’s this time of year when we can confirm all of the varieties we will be growing across our bedding, perennial, herb and veg ranges in 2019. Our next job will be to pull this together in our 2019 plant catalogue that is generally available from the end of January. We continue to strengthen our range with the addition of many newer, stronger varieties that we’ve seen at various trials throughout 2018, and many of which we have trialled in our own trial garden at the nursery. Argaranthemum; We’re introducing a new series in this plant species next year. 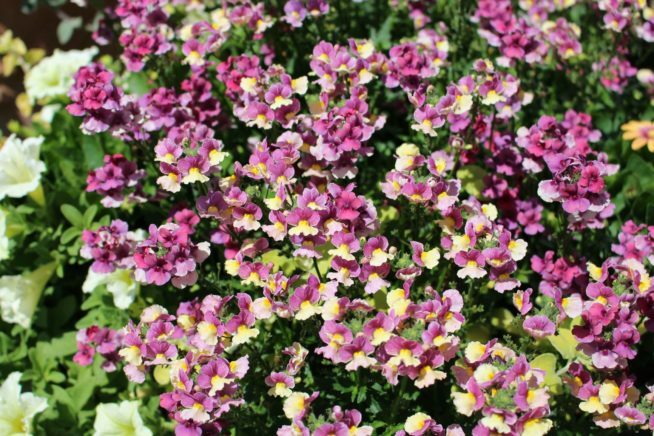 This summer bedding plant is excellent in the centre of pots or planted in groups in the border. The new series La Rita did really well in our garden this summer, flowering into the autumn, in fact when I looked at it yesterday (12th November) it was still putting up a show. Available in 5 colours in 2019. 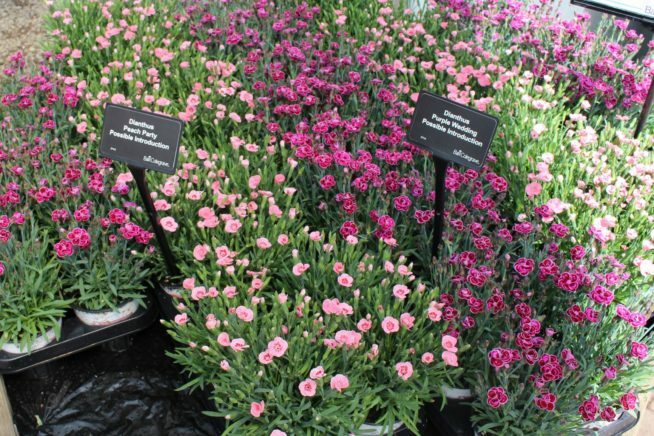 Dianthus; The variety pink kisses has for several years gathered more and more momentum as a lovely impulse plant which produces lots of baby pink single flowers. We’re delighted that two more varieties have been added to sit alongside pink kisses, Peach Party and Purple Wedding in 2019. We’ll also have a lot more volume of Pink Kisses as it sold out very quickly this year! 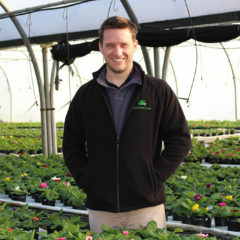 Nemesias are growing in popularity every year, they come in a range of habits and colours. Many of the colours are in pastel shades, part of their popularity. 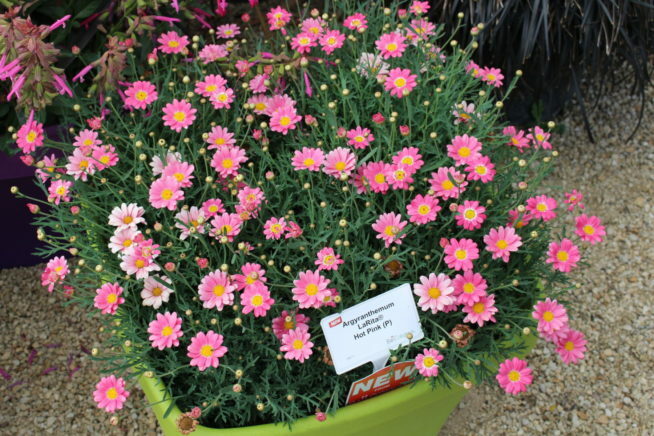 Some varieties also come with scent as well. Look out for Lemon Fizz, Blueberry Ice, Forest Fruits and Lavender Sherbet, new for 2019 and available in May/ June 2019. Chilli Thai Dragon A hot Chilli that produces plenty of fruit grown outside. We’ve had loads of chillies off our trial of this variety this year (so many we don’t know what to do with them! )- and they add a wonderful kick to curries and stir fries. A real winner and will be part of our veg and fruit range in 2019. Look our for our catalogue available in the new year where the above varieties will be profiled along with many more of our new and best selling lines.